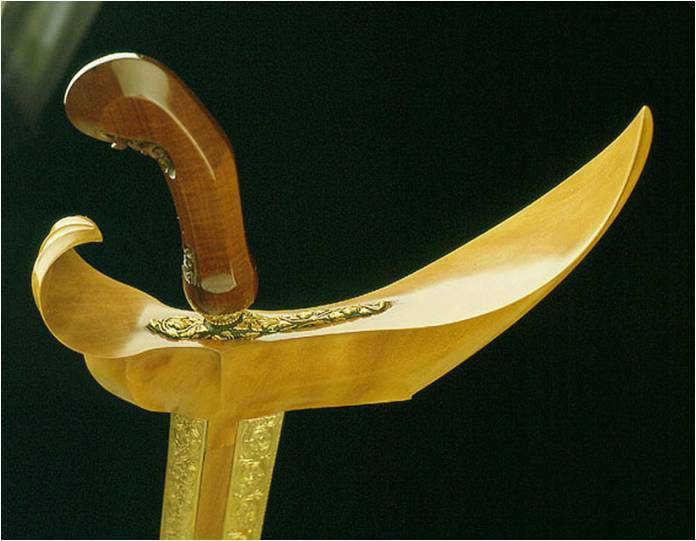 The Kris (original name: Keris) is the national weapon of the Indonesian Archipelago and comes in various shapes. 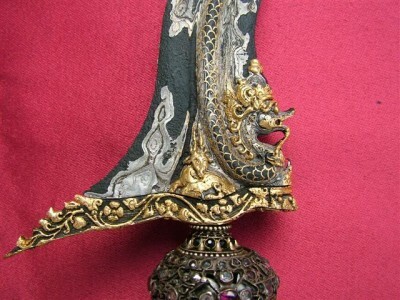 A keris or kris is a special knife that has been constructed entirely for magick & Spiritual Purpose. 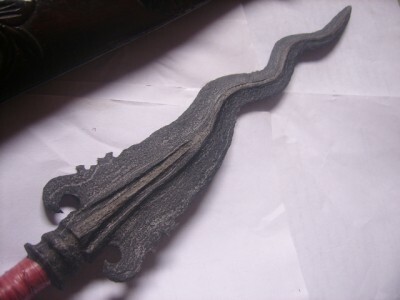 The creation is a long and complicated Magical ritual which involves the blending of the metal with magickal ingredients and the invoking of a powerful jinn/khodam spirit into the keris Blade. 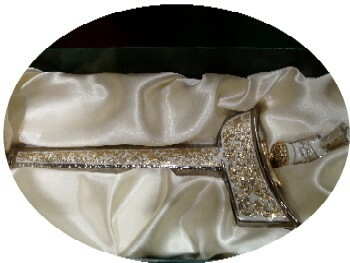 After the keris Sword has been created, the spirit is continually fed, so it gradually grows more powerful. They are often passed down from generation to generation. 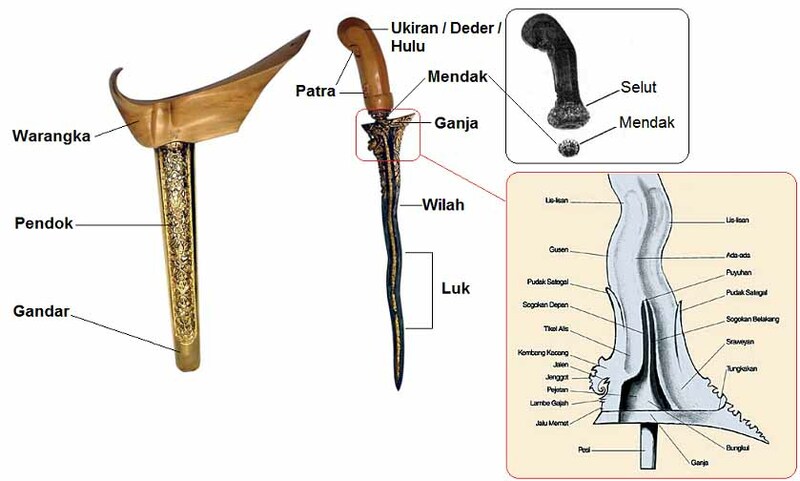 Our keris go back as far as the 8th century, when the most powerful magickal knives & Swords were made. They have become extremely potent through magickal & Spiritual usage and continuous feeding. The different powers will also reflect in the different ways of using them. Some are more suitable for experienced magicians, and like to be held in rituals, in which case they will add great power to the ritual. 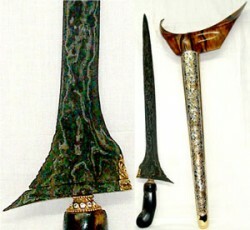 Some keris are easier to use by the beginner. You only have to hold it and visualize your desire and the jinn will work on fulfilling that desire. Others were created as family protectors, and can be used with no magickal knowledge at all. All you have to do is hang it on the wall and feed it once a month and it will work quietly in the background, protecting you from harm, or drawing in wealth and good luck. There are some that can be carried on the person to confer authority on the carrier, silencing opponents and making you successful in all debates and interviews. Others will have a very particular magickal usage, and will be supplied with full instructions. 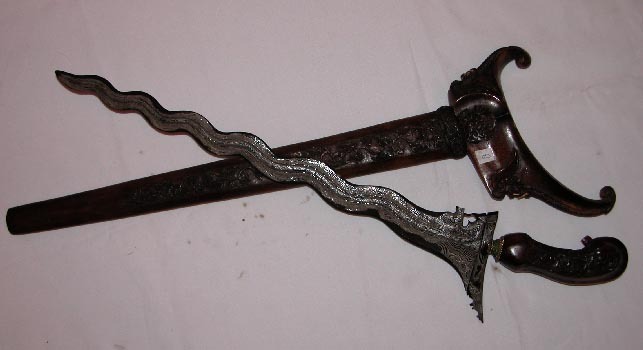 Ancient Keris will provide all types of Magickal Kerises with many types of jinns/genies. We hold a vast range of kerises ideal for the curious beginner and also those kerises for the advanced magicians and spiritual masters. We obtain these items from ancestral belongings, passed down from generation to generation for hundreds of years. 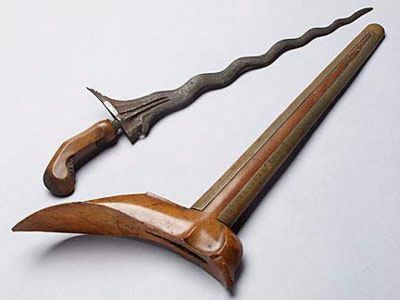 Their expertise in magickal and ancient keris creation still remains a secret and their techniques are close guarded and passed down only within there bloodline. The most magickal and powerful kerises are said to be made by empus of equal magnitude in magickal and spiritual status. 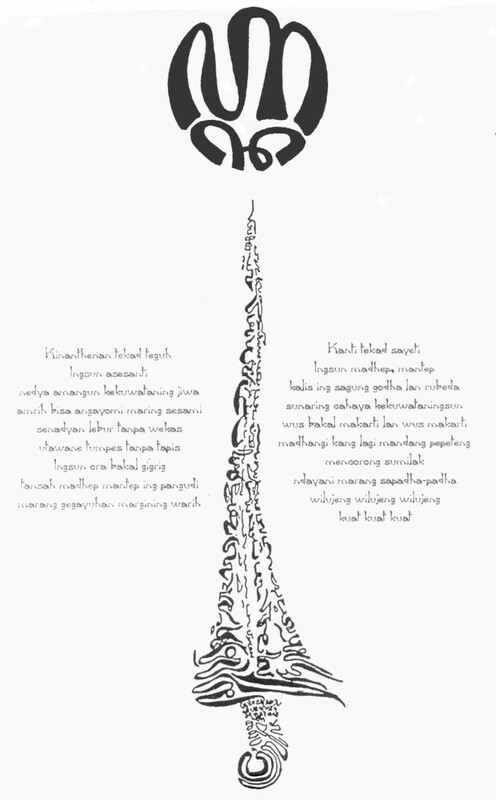 Some Magic kerises are crafted with exquisiteness in mind, others with magickal power in mind, mostly the empus combine these two characteristics to create the ultimate types of kerises and these are the ones we seek to provide to you. 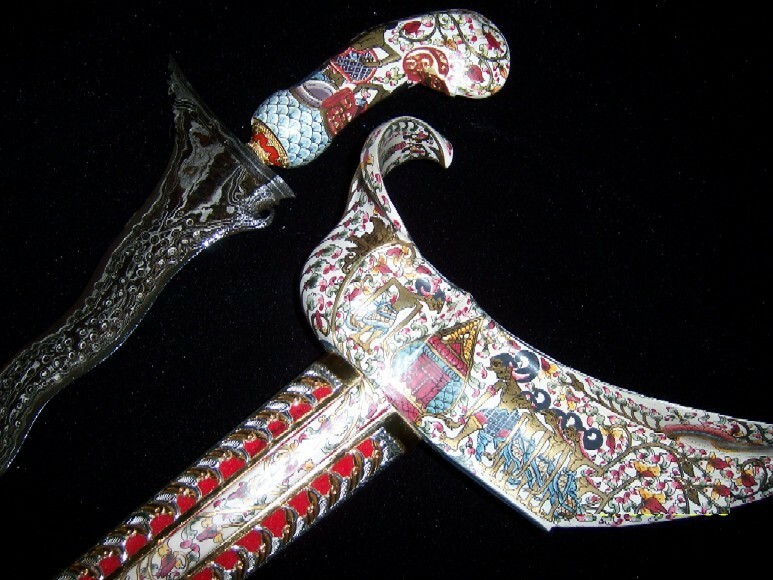 A Keris can be used as a magickal & Spiritual aid in reaching and manifesting one’s desired goals and aspirations. 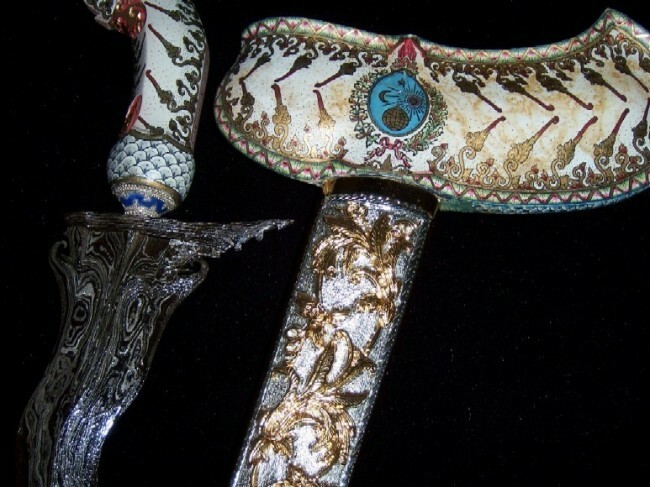 The spirit which dwells within the keris Sword supports your daily aspects in terms of luck, wealth and health and interactions with people. 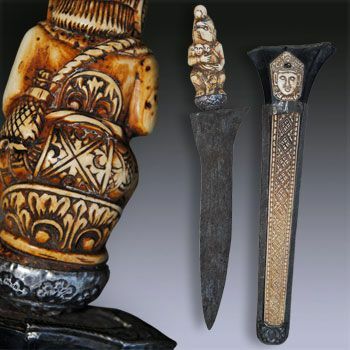 The empus have created these magickal blades with the thought that they will empower one’s aura and assist in one’s quest for desired qualities and enhancements in life. These are all infused into the item during its creation and these can all work to successfully aid one’s spiritually development. 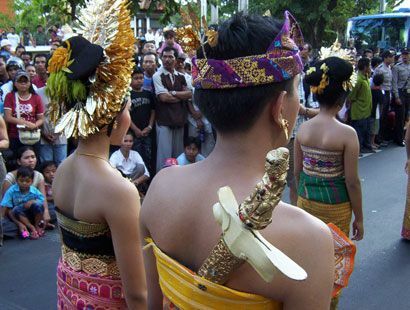 The keris can also be used as a significantly powerful and magickal item, by which is can confer magickal energies through the help of the indwelling spirit and aid advanced magicians and spiritual masters in rituals, spells and magickal development. 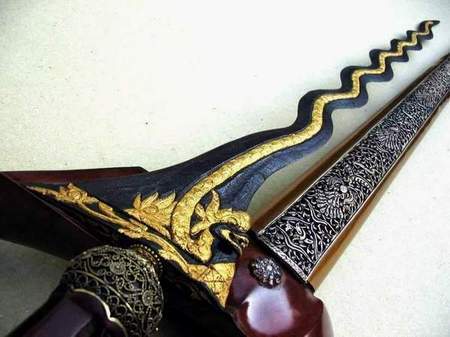 This entry was posted in Arts & Culture, Cool, Featured and tagged From, Indonesia, The Kris, Traditional, Weapons. Bookmark the permalink.